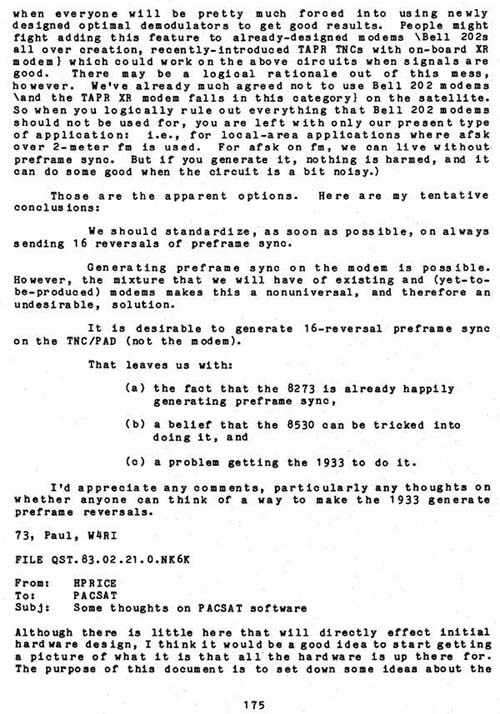 We should standardize, as soon as possible, on always sending 16 reversals of preframe sync. Generating preframe sync on the modem is possible. However, the mixture that we will have of existing and (yet-to-be-produced) modems makes this a non universal, and therefore an undesirable, solution. It is desirable to generate 16-reversal preframe sync on the TNC/PAD (not the modem). (c)	a problem getting the 1933 to do it. I'd appreciate any comments, particularly any thoughts on whether anyone can think of a way to make the 1933 generate preframe reversals.